I don’t ever remember a time when I was not driven to create something. This inborn drive was not something I decided but rather who I was/am. My need for a constant creative outlet moved me to try just about any creative outlet that caught my attention. One by one I moved through mediums such as watercolor, yarn, fabric, needlework, acrylic and wood, but then always returned to my favorite, oil paint. Question 2: What inspires your artwork? Question 3: What artists (living or deceased) do you draw inspiration from? I love John Singer Sargent’s work. We are incredibly lucky to have some of his finest works in Boston, both at the Gardner Museum and the Boston Museum of Fine Arts. His lifetime body of work encompasses everything from watercolor sketches to room size masterpieces in oil to the ceilings of the MFA Rotunda. I ponder not only how he managed to produce such a sizable body of work, but how his ideas were conceived and executed. Question 4: What does your art say about you? Most of my artwork reflects my love of the great outdoors. I find it exhilarating to set up at the shore or a pristine spot in nature and work through the process of color-matching all the elements of this elaborate puzzle all around me. I like to switch up my subject matter often, and perhaps my fascination with travel and historic places comes through as well. Question 5: How do you know when a work is finished? For me, particularly with a plein air painting, a completed painting is a minimum of two painting sessions. The first session is a two-hour outdoor paint-out. The second is a studio session to reestablish my darks and perhaps make corrections to elements that do not “read” correctly. It has taken hundreds of paintings and many years to get to the point where a lovely passage in a painting remains untouched/reworked. It is beneficial to put a painting out of sight for a period of time and then re-examine it with fresh eyes. Changes may have to take place! 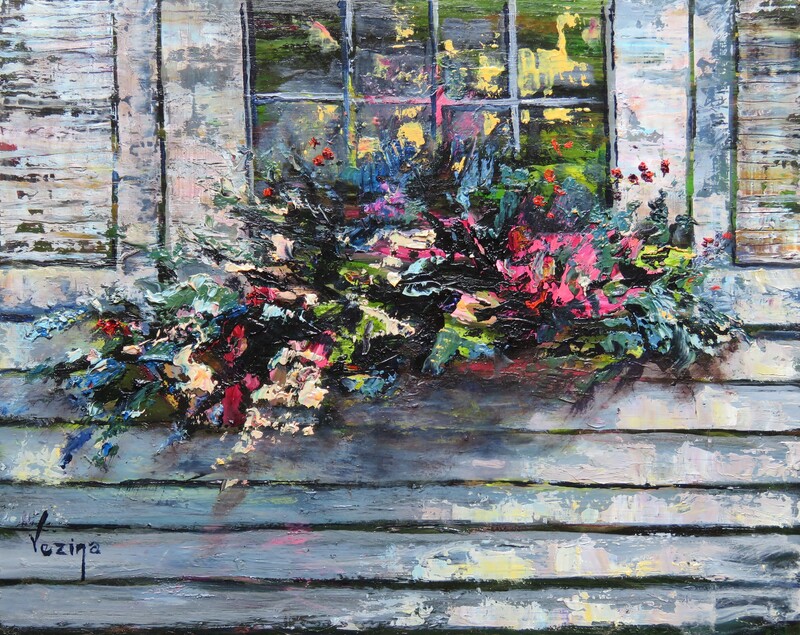 You can currently see Maureen Vezina’s beautiful oil paintings in our Holiday Small Works show until December 24th!